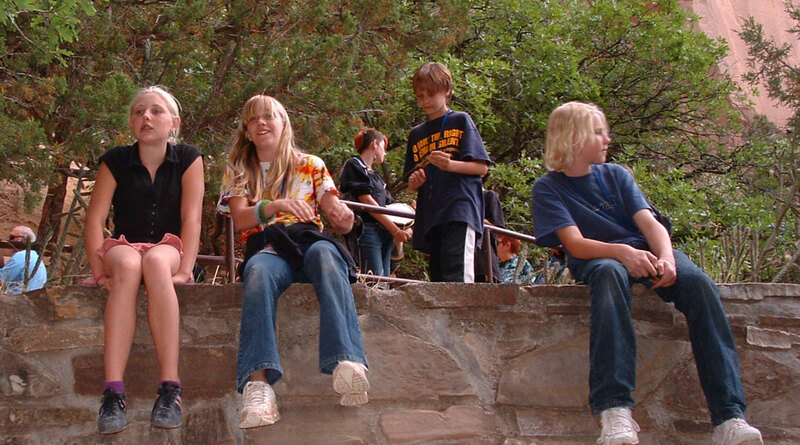 WUULF is first and foremost a friendly, intergenerational camp seeking to build a close-knit community in which we can live out our UU principles and purposes —a place where participants of all ages can spend time focusing on their own interests, as well as spend time together. For families who bring children to WUULF, we co-schedule children’s classes and adult activities three days a week (from 9:00 am to 4:30 pm on Tuesday, Thursday and Saturday) to provide a time for adults to pursue their own activities (see descriptions in this catalog). On the remaining days, you can “build your own adventure”– take side trips, hike on the trails around WUULF, visit local museums, and the like. If you brought children with you to WUULF, this is a chance for you to spend time with them in this fabulous environment. 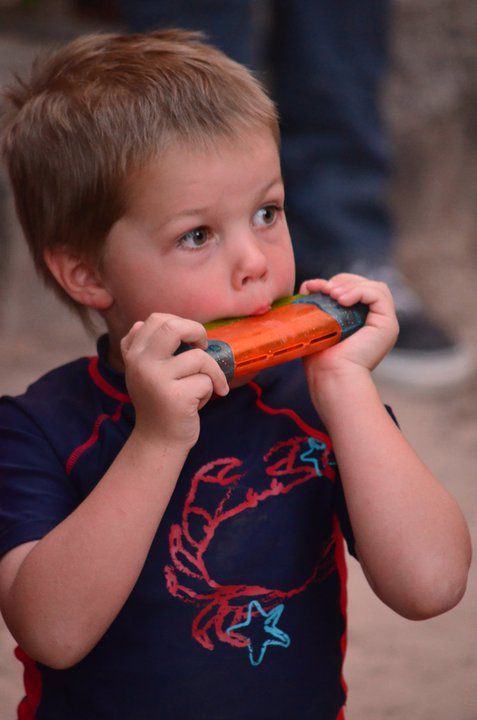 One of the many wonderful aspects of the WUULF Camp at Ghost Ranch is the Children’s Program, available from 9:00 a.m. to 4:30 p.m. on Tuesday, Thursday and Saturday. Kids and parents must attend the orientation Monday evening. Each child will need to bring a backpack, towel, swimsuit, sunscreen, water bottle, and bug spray each day. 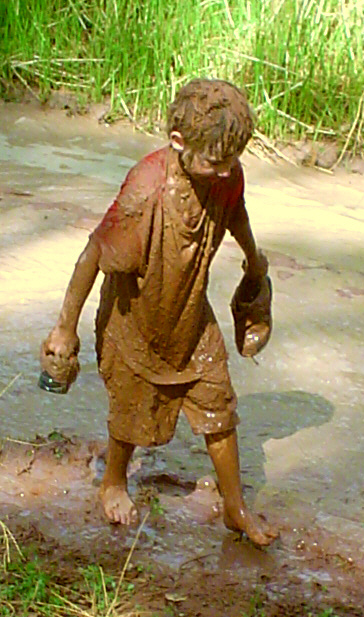 The children enjoy a number of different activities, including hikes, storytelling, swimming, playing in the mud (always a favorite! ), visiting museums at the ranch and doing arts and crafts. Those who are in the campground will need to either bring a packed lunch daily, or sign up and pay for dining hall lunches for the week. Specific procedures will be discussed at the Opening Circle on Monday evening. Parents are always welcome to join the children for all or part of a day’s activities. We’ve found that a small day pack can be an indispensable help in keeping contained the equipment they’ll need to participate in a full day of fun at WUULF. 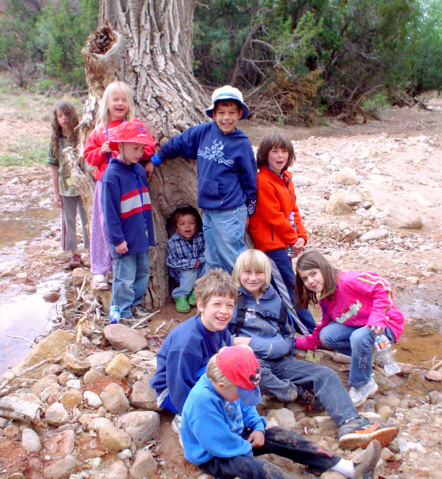 The Coyote program is tailored for children entering grades 3 to 5. This program will be on Tuesday, Thursday and Saturday, from 9:00 a.m. to 4:30 p.m. The coyote members and their parents are expected to attend an orientation regarding program and procedures with the youth staff Monday evening. The youth enrolled in the Coyote program should have sturdy shoes, a daypack with a towel, swimsuit, sunscreen, water bottle and insect repellent, and lunch if not participating in the dining hall lunches. Their activities will include hiking, a project, crafts, swimming, low-ropes course, etc. 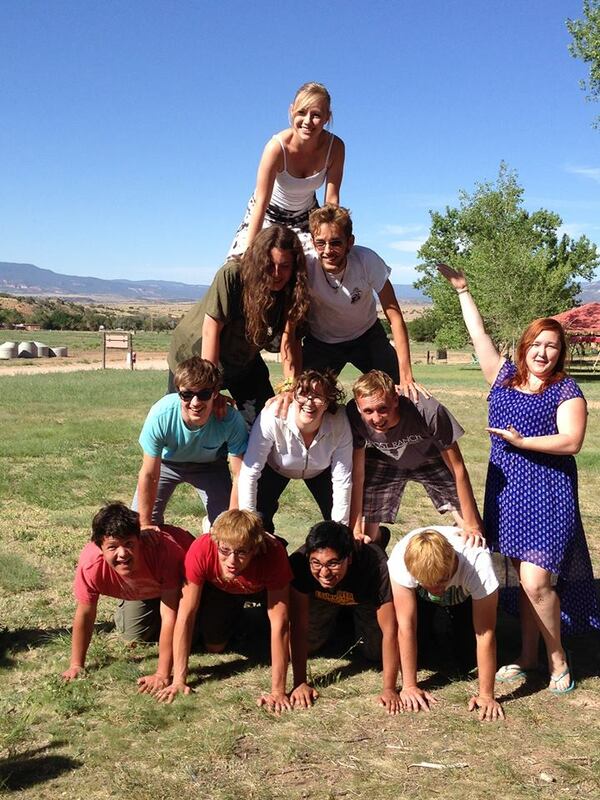 The WUULF Pack program is community in action. Our staff facilitates activities designed to promote learning, sharing, and growing in a UU oriented environment. 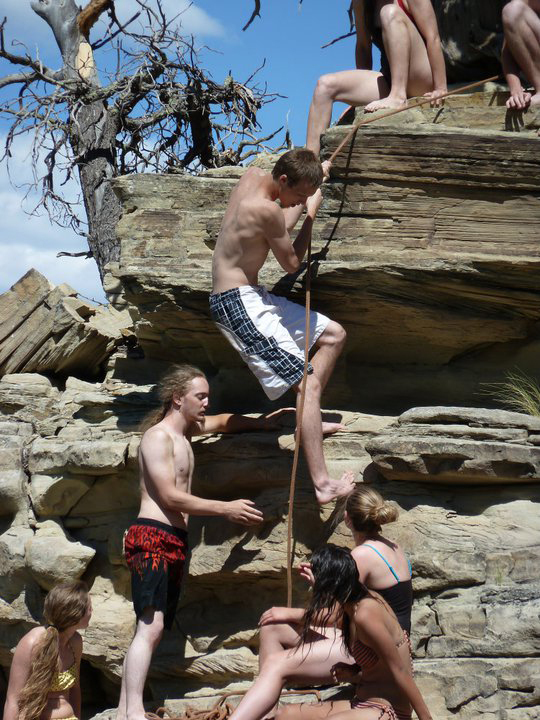 Pack members will have the opportunity to hike, swim, share feelings, explore their spirituality, and just hang out. Parents and their teens are required to attend the Opening Circle on Monday evening. WUULF Teen Staff will brief parents and teens on expectations, responsibilities, and guidelines for participation in the program. At the end of the week there will be a Teen Passage ceremony. This ceremony involves personal and group spiritual exploration and a formal acknowledgement and welcome to the WUULF Pack program and beginning the transition into the adult community. This has been a powerful and emotional event for teens, parents and other community members in previous years. Our older teens will meet on program days. We will work on communications, inter-group team building, cand ommunity. Frequently this will also involve an offsite trip on Saturday. This is a very energetic group and we work to make this always a special week. We are delighted that we have a growing group of amazing young adults at WUULF, and we have created a program that we hope will appeal to their interests while keeping them integrated with our intergenerational community. The format allows for participation in the WUULF theme workshop, along with afternoons for co-creating activities of interest to the group or joining any event on the WUULF schedule, and evenings with the whole community. The young adults will have programming in the afternoon on Tuesday, Thursday, and Saturday, in addition to other times agreed upon by the group. It will be up to the group to design the week. Spencer, Logan, and Kiver will have some ideas and options ready, and the rest will build on that. You can begin to share ideas and plans on the WUULF Young Adult Facebook site before camp if you’d like. Just join the group “WUULF Young Adult” and share your thoughts. Due to Ghost Ranch raising the price, there will no longer be offering dorm rooms for the young adults. In the past, many young adults have camped or stayed with family. If this is not an option, contact our registrar Carol and she’ll find something that works. Kids and parents must attend the orientation Monday evening. All youth under 18 MUST be either in their designated program or under the supervision of their parent/guardian at all times. It is stressful and potentially dangerous when unsupervised children, especially those who are elementary school aged or younger, are present at WUULF activities without a responsible adult to guide them. At Ghost Ranch, we are surrounded by miles of wild areas. Bears, snakes and other wild animals are frequently spotted on ranch property. At night, near total darkness descends. And as adults, we are sometimes so consumed by the incredible setting and the wonderful company that we may let our guard down and assume the community that provides us with so much, will also provide unsolicited, spontaneous child care for our little ones. We will all be safer and happier if we try to avoid this scenario! Failure to comply with WUULF and Ghost Ranch guidelines can lead to unsafe situations and may result in expulsion from WUULF activities, or from Ghost Ranch itself. Each child will need to bring a backpack, towel, swimsuit, sunscreen, water bottle, and bug spray each program day. Parents are expected to help with a youth program for one morning or afternoon per child, other adults are encouraged to volunteer. 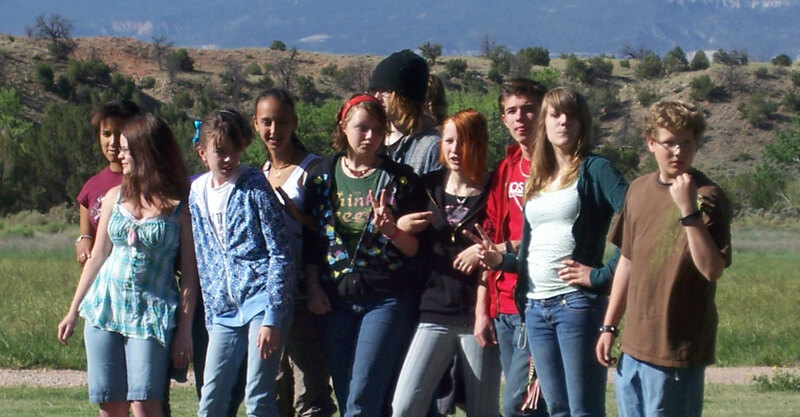 Ghost Ranch will be full during the fourth week of June, with many other groups besides WUULF staying on the property. Please remember that our youth programs must remain separate from those of other groups. Only registered participants can attend WUULF child and youth programming.